After a long hard winter, the arrival of warmer weather is always welcome, but the summer months can be hectic, particularly for those who are trying to organise a holiday and entertain the kids. Summer is also the time when most people have significant time off work so is often chosen as the best time to arrange a house move. But without proper planning, a summer move can end up being more hectic and stressful than it should be. In our decades as removals London and removals Kent experts, we have helped many families and businesses negotiate a move during the summer months. Here is a brief guide that should help you to take the heat and the stress out of your summer move. Moving house in the summer is a popular option and many other families will be thinking the same way. As a result, popular and trusted removals companies such as C.Wraight, will be booked up for weeks in advance. So if you have heard about our high quality, personalised removals service, it’s a good idea to make that booking as early as possible. Weekend moves are usually the only option, due to work, but moving house in the summer often gives you the option of arranging a move for the weekdays. There are many advantages to a weekday move, not least the fact that the roads will be clearer during the day. For children, the summer is a fun time when they are supposed to be enjoying a break from school. It is important for their well being that you try to keep them entertained as normal in the summer holidays. One option could be to have them stay with friends or relatives during the few days surrounding the move itself. Remember also that children will have a lot of happy memories associated with the home, so give them the opportunity to say a proper goodbye to the house. This is particularly the case for younger children or those who have never moved house before. Decluttering is a major part of the moving process, and the advantage of a summer move is that with the better weather, more people will be out and about, making it the ideal time to hold a garage sale or to take your unwanted items to a car boot sale. If the weather is particularly hot, it is vital to keep everyone cool. Keep plenty of water at the ready, and ensue that windows are open as much as possible, particularly if you have pets with you. Try to stay calm and patient throughout the process; something that is easier if you have engaged the services of an experienced and reliable removals company! There’s no doubt that the extra time off and the better weather makes moving house in the summer an attractive option. 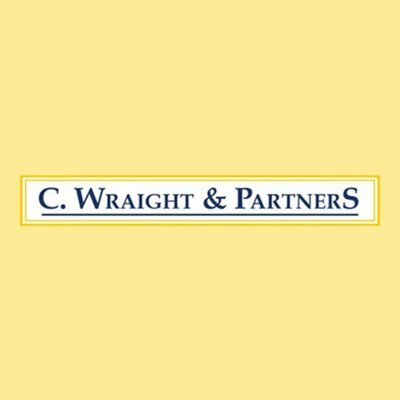 At C.Wraight, we have the experience and expertise to ensure that your summer move runs smoothly. Get in touch today and find out how our personalised removals service can help you take the stress out of moving house.